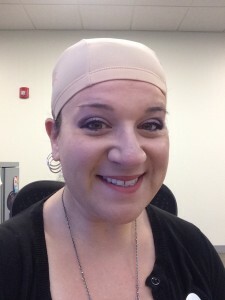 Each year, on the third Friday of October, you may be surprised to come across people wearing bald caps. The occasion? The Boston-based charity Be Bold, Be Bald!, which provides a means for anyone to share in the boldly supportive act of being bald, if only for one day. Participants wear a bald cap or very boldly shave their heads, to honor those who fight cancer and raise money to help fight back. Participants get sponsored, and choose the charity they want their proceeds to benefit. The initiative was started by local advertising professional Jeff Freedman in 2005 after his business partner, Mike Connell, was diagnosed with stage four cancer. Connell tragically lost his battle in November of 2007, and Freedman and his colleagues wanted to create a powerful movement to honor Connell’s heroic fight. 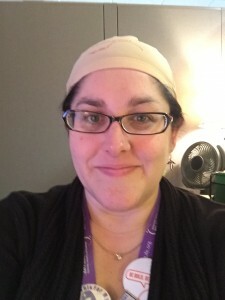 To get involved, participants simply sign up at www.beboldbebald.org and commit to wearing a bald cap for the day. They are then asked to reach out to friends, family and co-workers to sponsor them for their bold move; there is no minimum fundraising amount and a bald cap and fundraising materials are provided for a mere $10. Today – on October 16, 2015 – Joe Andruzzi Foundation will once again be fielding a Be Bold Be Bald team, and we couldn’t help but share the touching story of two JAF fundraisers who are paying-it-forward today for our Foundation. L eominster, Mass-native Stephanie Corliss, a Licensed Mental Health Counselor, is “going bald” today for JAF. Diagnosed with a thyroid condition at 14 years old, Stephanie always had a hunch that something else was going on. A few months back, Stephanie was surfing around on Facebook one night when she came across the Be Bold Be Bald page. “Our friendship is timeless, though it’s officially 29 years since that first day of kindergarten,” she admits. The two have always been there for each other, especially through Stephanie’s diagnosis. 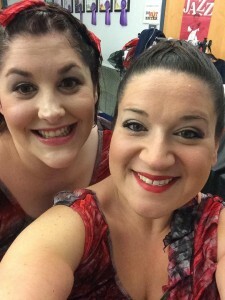 When Stephanie told Lindsay she was considering participating in the Be Bold Be Bald fundraiser for JAF, it was only a matter of moments before they signed up together. Stephanie and Lindsay’s upbeat attitudes and generosity are such an inspiration to us here at the Foundation – so much so that Joe has decided to join in on the Be Bold Be Bald initiative today.